If you are short of time, the answers to the following 3 questions should let you know all you need to about the Sonicare 5 Series Gum Health. If we have missed something, let us know in the comments. If you want more detail, you can read our full Sonicare Series 5 review further down the page. Sonicare have a reputation for producing quality products and the 5 Series is no exception. It looks and feels great and most importantly it delivers an excellent clean to your teeth and gums and can within just a matter of weeks seriously improve your oral health. As good as the 5 Series is the ProtectiveClean 4300 is in our opinion the all round better buy. It offers a pressure sensor as well as a brush head replacement reminder. Oral-B’s Pro 2 2500 is also worth serious consideration given the value it represents. 3. Where is the best place to buy the Sonicare 5 Series Gum Health? Stocked in a number of different outlets, there is no 1 best place to buy the 5 Series, but there does seem to be, certainly at the time of writing, quite some variance in the price at which this brush is offered at. If you think this is the brush for you then be sure to shop around, but for the price you can get it at, you could do a lot worse. Reputable outlets that sell this brush include Boots, Tesco, and eBay. Gum disease or gingivitis as it is otherwise known is a a problem for a lot of people, it can cause significant discomfort with sore and tender gums and bleeding too. It is a common plight and for many suffers, it can be easily fought and cured. The answer is focused brushing that removes the bacteria on and beneath the gumline that causes the inflammation and sensitivity suffered. 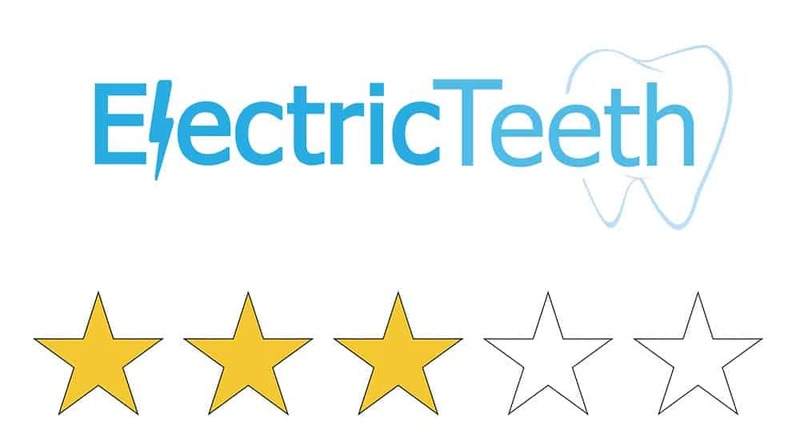 Whilst many electric toothbrushes can help, the 5 Series Gum Health is particularly well featured to achieve this. Here are what I consider to be the main plus and minus points for the 5 Series toothbrush. Box contents – Basic and functional an extra brush head or two, plus a travel case would be a nice addition, particularly if paying full price. It is of plastic construction and the White body is accented with the pale Frost Blue colour panel around the power and intensity button and the ring around the neck of the brush handle. On the front of the brush handle is where there is lots more going on. Below this, inset in a Frost Blue plastic frame is the recessed power button, 3 LEDs and what looks like a volume control in White. Towards the base of the brush, outside of the Frost Blue frame is a ‘Clean’ and ‘Gum Plus’ cleaning mode name, with a single LED above each. The HX8931/10 has been designed to appeal to a broad audience and looks smart. Should something go wrong, there is a manufacturer supplied warranty that lasts for 2 years. I have heard very few complaints about Sonicare brushes. In addition to the brush handle, in the box is a brush head, charging stand. A second brush head would have given a bit more value to the box contents as would a travel case, particularly at the price you can pay for this brush; more about that in the price section of the review..
Slide the provided ProResults Gum Health brush head onto the top of the brush and you are ready to go. You have 2 cleaning modes to choose from, they are ‘Clean’ and ‘Gum Plus’. The brush will remember the cleaning mode used, so if you chose the Gum Plus mode, next time the brush is powered on Gum Plus mode will be activated. Gum Plus does too last for 2 minutes. This is a softer and more gentle cleaning mode that stimulates gum health and blood flow for stronger and healthier gums. It does not use the full power of the brush motor. Any Sonicare brush head can be used on any cleaning mode, but the provided ProResults Gum Health head is the one better suited to reversing any gum disease. Using this brush head, it is possible to remove up to 6 times more plaque than a manual toothbrush and within 2 weeks you can have healthier gums with less redness, swelling and bleeding. The bristles are nice and soft too, so when you use this brush head, on the Gum Plus mode and with the lowest intensity setting, even the most tender of gums can be brushed comfortably. All the Sonicare brush heads are fully interchangeable with their brush handles, so you can chose the one you like most from the options available and fit it to this 5 Series handle. For example a few months after having cured or improved your gum disease, maybe you might want to switch to the standard ProResults head rather than the specialised gum health one. No problem, you can nice and easy. With the 3 intensity settings and 2 cleaning modes, you have up to 6 different brushing options. The brush delivers up to 31,000 strokes per minute to the teeth and gums once out of the easy-start mode and has been shown to remove as much as 6x more plaque than a manual brush. Such a feature is great for new users but those suffering with gum health issues too. As you gain control over the disease you can adjust and increase the power to your liking. The 5 Series does a great job of cleaning and at no point did I feel the brush had done a poor job, my teeth felt clean and refreshed after each clean. When compared to their biggest competitor Oral-B there is really no competition. An Oral-B brush lasts some 16 days compared to over 21 days of Sonicare. With the 5 Series you really need not worry. Sonicare advertise a 3 week (21 day) battery life from the Lithium-Ion battery built into the handle. This is based on one user brushing twice a day for 2 minutes. My very own hands on testing (using ‘clean’ mode) managed to achieve 27 days from a fully charged brush! That is a total of 108 minutes run-time and nearly a month without having to re-charge. The power cord is about a meter or so in length and connects to the power socket. It actually supports voltages from 110-220v, making it great for travelling although as it comes with a 2 pin plug suitable for UK bathrooms, you may need an adapter to work with other sockets internationally. I mentioned towards the start of this review that there is some variance in price. Although Sonicare products are less known for being heavily discounted, most toothbrushes irrespective of brand have the suggested retail price and then the actual price they sell for. Oral-B products are typically up to 50% less. The pricing of the Series 5 has one of the biggest variances between stores that I have ever seen for a Sonicare product. This may well be in part because at the time of review it is a slightly older model. The recommended retail price is £150. Personally considering its features and how it compares to other models in the Sonicare, Oral-B and Colgate ranges I would suggest a selling price nearer to £60, which I appreciate is more than 50% less than the suggested price. The reality is there are some excellent value alternatives, namely the Sonicare ProtectiveClean 4300 and Oral-B Pro 2 2500. But, what’s good for you and I as consumers is that the price is as low at £37.50! This is pretty amazing value and puts it in the running against other models available today. In fact I would have a hard time picking which I would go for, but this 5 Series just edges it at this price. This low price was available from at least 2 reputable stores, with another being in the high £60’s and then one store at full price. As you can quite imagine full price would be paying over the odds. However, this is in theory what Sonicare feel it is worth. I can assure you it is not. You can get a lot more value elsewhere for this money. Factored in within this costing are replacement brush heads that are priced at around £5 per head. Your brush head should be replaced every 3 months. At the full price this would take the cost of ownership to £205 or £0.19 per day. When purchased at the much more wallet friendly £37.50 the cost comes down to £92.50 or £0.08 per day. The 5 Series is solid in hand and feels good. Plastic the construction is, but cheap and flimsy are not words you would really associate with here. Should something go awry then you can fall back on the 2 year/24 month warranty that they offer, but the likelihood of having to use this is slim. The 5 Series is a great toothbrush. It cleans the teeth and gums really well and in a way that is comfortable thanks to the 6 different cleaning options. Working to achieve improved gum health anyone suffering with the early stages of gum disease will see improvements as a result of use. The battery life is top notch, the build quality is superb and built in features like the timer, pacer and EasyStart are highly regarded. The 5 Series lacks a decent box contents though and despite offering a good clean the wild pricing makes it really difficult to compare this brush to those on the market today. Paying anything up to about £50 and your not going to have been cheated, but if considering paying more than this, I strongly encourage you to consider the alternatives, you may just get a bit more bang for your buck. Is the Sonicare 5 Series Gum Health an oscillating brush? 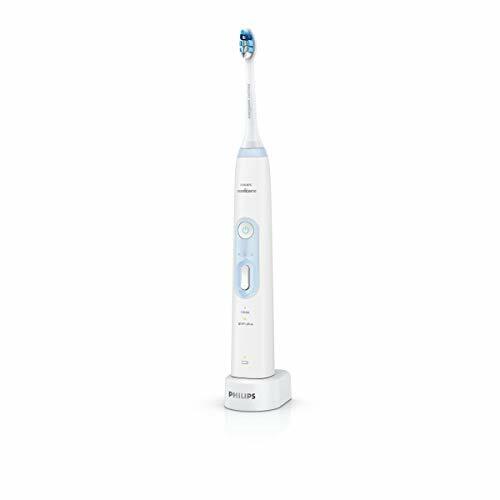 How many brushing modes does the Sonicare 5 Series HX8931/10 have? This brush offers 2 different cleaning modes, Clean and Gum Plus. Press the power button to switch the brush on, then again to be taken to the next cleaning mode available. It does have 3 power intensity settings, meaning the brush can essentially be set to 1 of 6 customisable modes. The HealthyWhite comes provided with one ProResults Gum Health brush head. Sonicare do have a range of alternative brush heads that are compatible including, DiamondClean, ProResults, ProResults Gum Health, Sensitive and InterCare. Does the Sonicare 5 Series have a pressure sensor? Does the Sonicare 5 Series have Bluetooth? Does the Sonicare 5 Series Gum Health come with a warranty & how long is it? Does the Sonicare 5 Series have a built in timer? Officially the the battery lasts up to 84 minutes, which is equivalent to 3 weeks or 21 days of usage based on 2 x 2 minute cleans per day.. Yes, a charging station is included with the toothbrush. Can I use the Sonicare 5 Series in the shower? No, it does not come with a travel case. Do you own or have you used the Philips Sonicare 5 Series Gum Health?